Bali is a town which is situated on the left of the banks of Mithari River. As Bali witnesses less rainfall we do not find much vegetation around the place. The flora of Bali includes that type of vegetation which is found in desert areas. Modad, khair, dhavado, saledi, kadaya, timru, khakhara, bor, desi bavalia, bili, dudhi, golar, karanj, arjun sadad, jamun, behda etc. are some local names for common species found here. The common species found here are - Aam (Magnifera Indica), Imli (Tamarindicus indica), Babul (Accasia nilotica), Banyan (Ficus benghalensis), Ber (Zizyphus mauritania), Dhak or Chila (flame of the forest), Jamun (Syzygium cumini), Kadam (Authocephalus cadamba), Khajur (Phoenix sylvestris), Khair (Accacia catechu), Karel (Capparis decidua), Khejda (Prosopis specigera), Kakera (Flacourtia indica), Mohua (Madhuca indica), Neem (Azadirachta indica), etc. The area around Bali is the hub of Leopards. The Jawai Leopard Conservation Zone is where we can experience the close encounter with this beautiful animal from the cat family. The other common animals that you may see are the sheep, goats, cows, buffaloes, wild boar, wolf, jackal, monkeys, blue bull, python and black buck. The most common birds of the area are the bulbul, grey hornbill, woodpecker, Indian roller, peafowl, shrikes, barbets and many raptors. 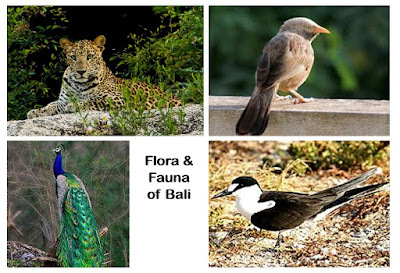 The nearest Wildlife Sanctuary is situated in Ranakpur 30 kilometers from Bali. It is an attraction for those people who love to hike and trek. People are mostly farmers and mostly grow crops like maize, gram, bajra, cotton and mustard. They are also indulged in dairy farming. Sensitivity is a quality related to feelings of a person. It is what a person feels for another person and is present in each person. It includes feeling like love, care, compassion and respect for others. It also includes anger, jealousy and hatred. Empathy is the ability to pick up on another’s feeling, or even senses. Empathy allows the person to have a first hand experience of what another person is feeling as that person "feels" similar feelings. It’s a shared sensation. Empathy sometimes has trouble differentiating between his/her feelings and that of others. Discussing current event from student multicultural view point. Regional places history, development, value chart should be display. Display all legends person of native and country, their responsibility through their sensitiveness. Awareness of socio-cultural differences between students. Use good and proper language in class room. Involvement of students with events and activity should be freely and sensitively through the respect of their cultural value. Teacher will be good and polite with students. Communication and interaction needs for individual students. I was surfing my face book account and suddenly one of my friend sent me a link, I opened that link and read a letter which was written by a kid to his teacher. I want to show that letter to all my colleague and sensitive person to know that kid and feel his sensitivity .Personally I feel that these days kids are going to be more sensitive behind the picture, so my question to all teacher that, are you ready to handle that kind of kids? You should be more sensitive for caring these new generation kids. “Teacher, I need you ! I know you don’t know me. I know if you did, we would get a long a lot better. But, please, teacher, I need you to fight to get to know me. I can’t tell you with my words what I need you to know, so I might act out instead. Take that as my sign that I need you. You might be all I have. I know I make it hard, but please, I need you. I need you to see me. I need you to see beyond that behaviour, that meltdown, that action and I need you to see the kid behind all “that”. You might be the only one that can get to the real me. It might take time, It might take patience. You know, it might even take learning about something you know nothing about. But, teacher, I need you! I need you to give it your all to see me. I know you went into teaching to make a difference. I am here to tell you, I am that difference. I am the one that needs you! I promise, if you reach me, you will change my life. You will make a difference like no test can measure. While writing this down, I had utter confusion of how to differentiate them. Being very similar and correlated this is how I came up with, with context to sensitivity and empathy. Sensitivity for me means seeing more details, being easily affected by others behaviour. For example, understanding the LYRICS of the song and not just the music, feeling emotional currents, observing people's reactions, being affected by whatever is going on in the surrounding, and in the society. Being sensitive means reacting to situations and surrounding by facial expressions, body language but not actually feeling the feel of those moments as in empathy. It means we can feel others pain, happiness, anger but we are not adapting them into our own emotion. Empathy means feeling each and every thing that's going around us, as if we were the one in that situation. It means trying to feel the pain, the problems, the happiness of others by stepping in their shoes. For example, getting depressed by seeing others depressed. Being sad, because the person near us is sad. Being sensitive has positives and negatives too. When we are able to understand someone's situation, when we know how others are actually feeling, it allows us to deal with them in a better way. The communication becomes easy. One afternoon during lunch break suddenly a girl came running telling that a bee had stung her. So she started crying. I told her not to worry it will be alright within no time and took out the stinger with my fingernails. After that I held her finger and took her near the door latch and rubbed her finger on that. Like this in many ways we can be sensitive towards children. Even parents should continue to respond to toddlers and older children with sensitivity as well. A parent's role is to comfort and empower the child, not to stifle the emotions by becoming angry or punishing the child. 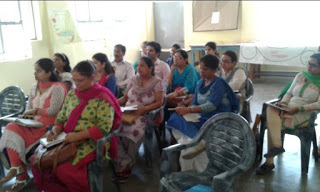 Monday, 23rd May- Saturday, 28th May: Everyday teachers attended a three hour session in the school. For the first hour they had revision of the English Proficiency Training which they had attended last summer under the mentorship of Mr. Mithlesh Patro. Every alternate day they had test to see how much they remembered. Mostly all of them fared well in their written test. In the second hour teachers made Lesson plans for the Academic Year 2016-17. In the third hour teachers had PDP session where they read chapters allotted to them from the novel ‘Wanted Back Bencher and Last Ranker Teacher’ by Kavita Bhupta Ghosh. They had discussions and gave their views and opinions on the chapter and are trying to relate it with their classroom situations. 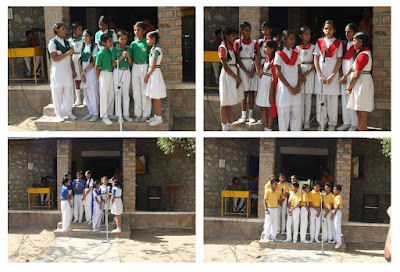 Thursday, 25th May- Saturday, 28th May: Students of Class XII(Science) who were having extra classes were tested to evaluate how much they gained through these extra classes. 28th May: The Staff wishes Mr Kanik Goyal a very him Happy Birthday and a prosperous future. Note: The School is closed for Summer Vacations from 31st May’16 to 27th June’16. The School reopens on 28th June’2016. We will meet our readers with more news and views on 4th July 2016. ﻿Bali Culture is a blend-of predominantly Hindus with sizable minorities of Muslims and Jains. However, regardless of their religious segments, Muslim, Hindu, and Jain Rajasthanis mingle with each other socially. The majority of people that live in Bali is the Jain Community and Seervi Community. 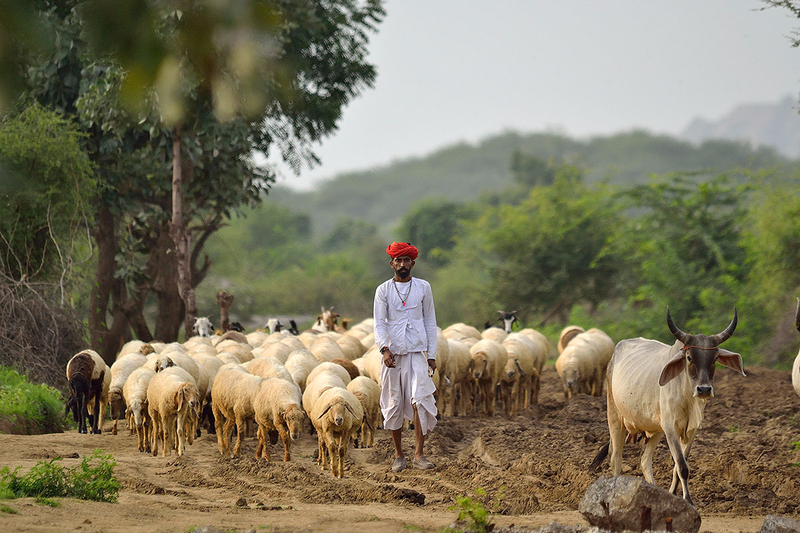 Seervi are mainly in agriculture business in Jodhpur and Pali District of Rajasthan. Major population of Seervi’s is followers of Aai Mata which has main temple at Bilara. These days Seervi have migrated from Rajasthan to Southern part of India and have become good business community. Jain Community has left Bali and migrated in all parts of India for their business, but they have their ancestral property in Bali and visit the place during time of vacations or festivals. Muslims found in Bali are predominantly Sunnis. With the introduction of Islam, many community members converted themselves to Islam, but still maintained many of their earlier traditions. They share lot of socio-ritual elements. Rajasthani Muslim communities, after their conversion, continued to follow pre-conversion practices (Rajasthani rituals and customs) which are not the case in other parts of the country. 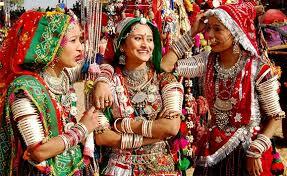 This exhibits the strong cultural identity of Rajasthani people as opposed to religious identity. Many other communities have migrated to Bali from nearby places to educate their students in good English Schools. All the people of Bali come together as one community during the times of festivals and fairs.Wheat and Maize are the staple food besides Cereals & bajra. 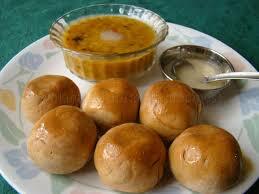 The main dish is called Daal-Bhatta. Folk-dances have an important role as a part of worship, ceremonies and a pastime but the main force behind the folk-dances is the celebratory mood. Ghoomar, Gher( Male Dance with sticks) are main dances of the town. Women usually wear ghagra choli with odhni while men wear dhoti and kurta, though most of the people influenced by urban culture have started wearing saree, shirt and trousers. CBSE conducted a workshop on ‘Capacity Building Programme on the scholastic aspects of CCE’ on 18 & 19 April 2016 at DPS, JODHPUR. It was attended by Mr.Byju Joseph and Mr.Ajay Vijayvargi on both days, the resource persons were Mr George. A. Thomas, the Principal of St.Gregorios Sr. Sec. School, Udaipur and Mr Dibyendu Sen Sharma, Principal, DAV HZL Sr. Sec. 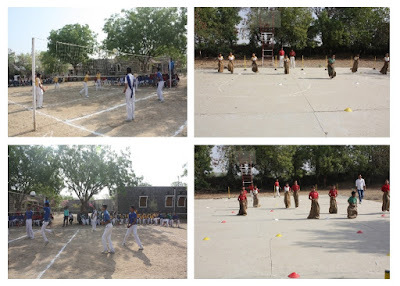 School Dariba, at Rajsamand. The workshop was on the Scholastic aspect and elaborately dealt with examination pattern, marking schemes, setting of question papers of Formative and Summative Assessments along with indicators for students, pattern of report cards etc. A work shop was taken by Mr.Byju Joseph and Mr.Ajay Vijayvargi for the staff members to explain and share the experiences and help them to smoothen their result making, question paper setting as per the CCE format by CBSE. Mr. Suresh Singh Negi and Mr. Sandeep Singh went to attend a training session at DBN Centre of Excellence on 13th and 14th May. A workshop of mathematics was conducted by Suresh Singh Negi on 13th and 14th May 2016 (Timing 2:00 pm to 4:00 pm) in DBN Amarvilla Jammu. The goal of Math workshop was to provide a forum for Mathematics teachers to share experiences, see best practice and understand the latest developments in the teaching of mathematics and the topic of Math workshop was how we can make math more interesting. How we can connect mathematics in daily life with real life examples. Find the ways in which we use mathematics every day. Misconceptions (a wrong idea or understanding of something) about mathematics. How we engage students in the learning process to increase attention and focus. My experience with teachers was good. They shared class room problems with me, the activities to guess your age using the power of math and I know your family was enjoyed by teachers. -Suresh Singh Negi/ Faculty Math Dept. Teachers had PDP session that week on Sensitivity. It was a wonderful experience with team mates to discuss and share their experiences, and each one is a master of its own type full with knowledge and experiences of practical life. Cultural Sensitivity is a set of skills that enables you to learn about and get to know people who are different from you, thereby coming to understand how to serve them better within their own communities. I would like to share an experience on cultural sensitivity- When we shifted to Pali(Marwar) to join our new job in July 2003, here in Marwar region Kartik Poornima is celebrated with by lighting diyas etc, like Diwali, our landlady asked us why we have not lighted the diyas outside the house or with electric light series, I bluntly told her we do not celebrate this festival, she said nothing to us but quietly lighted some diyas on the main gate and parapet of our flat and wished us the festival,offered sweets. I felt bad about it and thought are we not even able to light diyas in our flat,what that lady was trying to prove to us, I asked my wife to speak to the land lady on this issue. Her reply taught me a lesson on sensitivity, she said –“ Bhaisabh, koi baat nahi aap log is festival ko nahi manate per ek aap ka ghar hi andhere me rahta to accha nahi lagta aur padosi batein banete aur upshagun bhi mante, isliye maine diye laga diye,aap isko galat na le”. Sensitivity is the ability to understand what other people need and be helpful and kind to them. It means quick to detect or respond to slight changes, signals or influences. It is often considered with regard to a particular kind of stimulus. I was overwhelmed when my teammates pointed out my little gesture of help to them in computers have sensitivity. The word sensitivity is the quality to be sensitive towards others. This quality is very necessary in schools. It helps a child to feel safe to learn in an school environment. It helps a person to be aware of what is happening in the surrounding and to react with one another and to come to face to face situation. Sensitivity helps to interact with each other and to come closer to one another. A teacher in a classroom should create such an environment that a boy/ girl may feel free to discuss or relate the way they are feeling about themselves, about one another and their teacher. It helps the children to work together democratically, socially and emotionally. 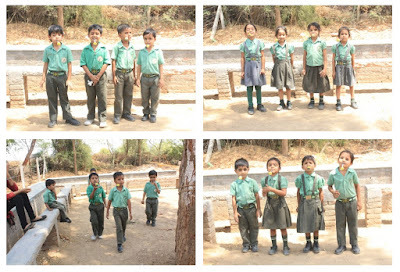 A student will never interact with his class fellows or in school till he/ she is not sensitive towards others. Sensitivity helps a child to be helpful and collaborate responsibly with others. I recall an incident that took some years back. I had a girl student in Class VIII. One day while having an activity that girl spoke up suddenly and told that she wanted to suicide. I became sensitive towards her and tried to find out the reason behind it. She told me that she feels bad for her mother who has to listen everyday from her father for giving birth to a girl child. Both parents were in education line but they couldnot understand the feelings of their child. I counseled her and told her to face this situation with intelligence and support of her parents. I called her mother and told everything to her. She supported her daughter and today she is doing her MBA in Udaipur. Sensitivity means a feeling, understanding or awareness within a person. It can be for oneself or for others. When one can quickly respond to changes or emotional happenings. A person can be sensitive who easily gets hurt or excited or happy with others. The most fascinating part to visit in Bali is the Bali Fort. The creation of Bali Fort came in the mind of Maharao Ajitsingot. Maharao Ajitsingot was the fourth son of the Maharao Lakhansi (Nadol), he came at the mithdi river in AD 1231 and then he saw a rock and want to create a fort and created a temple of bolmata as a kuldevi of his royal family, after then his Son Vijaysingot also helped in creation, after his death his Son Maharav Balaji completed a fort and on his name this place is called "Bali". He was also fond of Balicha Sakha of Chouhan Vansh. In 1608 AD King Balasingh constructed the Fort of Bali to protect the city and a wall was built around the city edges to protect it from attack. Main attraction of town is the fort. The fort currently houses the prison and most of the other buildings are in ruins. One can have a scenic view of surroundings from the top of the fort. 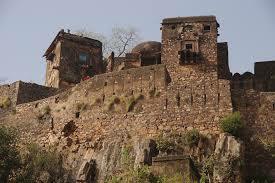 The fort has an ancient temple of Sitala mata. On the occasion of Sitala Mata festival that is celebrated in March, there peasants dance in the fort of Bali. The junction (Chowk) outside the Bali Fort is now named as Freedom Fighter Chotmal Surana Chowk after Late Freedom Fighter Chotmal Surana for his contribution towards India’s Independence Movement. The Inauguration of Chowk was done by then Governor of Gujarat Dr. Kamla Beniwal on 1st March 2011. Dr. Beniwal unveiled the statue of Late Chotmal Surana. A huge public program was said to be conducted which was joined by the entire village and is described as one of the biggest ceremonies held in the village. The event was hosted by Bali Municipal Corporation along with the Family Members of Late Freedom Fighter Chotmal Surana. Playing with friends and cousins is my daily routine. Chatting with friends is what I do. Fills happiness in the heart of all. Not a single man can live without science and its use. Our day ends with science. And on turning off the night lamp, the night comes. And name that person, now can survive. That you have given me, asweet Mother. Tuesday, 10th May: That day was the last day before School closed for Summer Vacation. Birthday Celebrations was organized for students of Junior Section whose birthday fell in the month of April and May. Birthday students cut the cake. The ate cake, danced and partied. They enjoyed the day and happily returned home. Tuesday, 10th May: The first Parent Teacher Meeting of the Academic Term 2016-17 was organized. 30% of Parents attended the meeting. Students were given Summer Vacation Homework before the school closed for Summer Vacation. Classes VI to XII have been given Summer English Reading Project. Wednesday, 11th May: Class XII is attending Summer Study Camp from 11th May to 31st May in order to complete their courses in time. This will help them to start their revision early and practice for Higher Order Thinking skill based questions for boards. Staff is having its PDP Session from 11th May to 30th May. The staff is had its HOD Meeting. They made Lesson Plans and discussed on what their plans are for the Academic Term 2016-17. During PDP Session staff discussed in their groups what they meant by the term ‘Sensitivity’ and why it is necessary in schools and difference between ‘Empathy’ and ‘Sensitivity’ and how they will imply it in their classrooms. Bali is an ancient city. A Jain scroll which Colonel James Todd obtained from a Jain guru in Sanderao gives the earliest description of founding of Bali town. Thirty thousand Jain families abandoned Valabhi and led by their priests found a retreat for them in Marwar, where they erected the towns of Sanderao, Bali and Nadol in 524 AD. It was the heart of the Godwar area in the 11th century. It was also a town where regular horse fair was held to trade the horses. Till today horse races are organized on the occasion of Ganguar Mela. King Sarubali Baldev won the land of Bali in a battle in 1240 AD and he crowned the area his royal capital, naming it Bali after himself. Legends say that the Pandava children used to play childhood games in this area and a water well still exists which was formed by Bhima, one of the Pandavas. In 1608 AD King Balasingh constructed the Fort of Bali to protect the city and a wall was built around the city edges to protect it from attack. The town planning is based on ancient geometrical, astrological and architectural laws. The marriage of Rana Udai Singh, father of legendary hero Maharana Pratap, was solemnized with the daughter of the Rao of Jalore at Bali. A dispensary was established in this town in March 1896. In 1897, it served 17 in-patients and 4166 out-patients and 318 operations were performed in it. In 1900 there was a plague outbreak in town and the town was evacuated. 1245 deaths occurred during the month of January 1900 as a result of diarrhea, dysentery and pneumonia. Monday, 2nd May: Students of Class VIII & IX painted the outside wall of Visitor’s Room with the help of their Art & Craft Teacher Mr. Partha Guin & Mr. Rakesh Kumar. Very big thanks to the both students and teachers for their splendid work. It relaxes a human being . If we smile we look nice. If we are sad we look very bad. Smile, smile, smile but only on right time. Thursday, 5th May: On the occasion of World Athletic Day Mr. Tarun Mishra/ PTI gave an Assembly Talk. He made the students aware of why the day is celebrated. 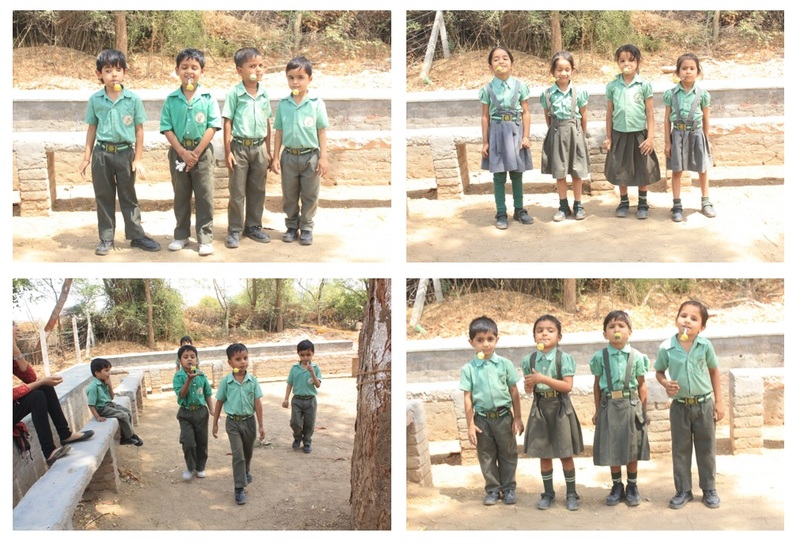 He also organized a fun activity the mind game ‘Treasure Hunt’. Students had fun hunting for clues and the treasure. Muskan Rathod/ X/ TH found the first clue in a watch, Maharaj Singh/ XI/ RH found the second clue in the harmonium. The third clue was found by Hemlata Vaishnav/ IX /GH on a tree which led her to the treasure. Students are now desperately waiting to play such games more. Saturday, 7th May: The first match of the term IH Volleyball Match was organized for students of Senior Section. 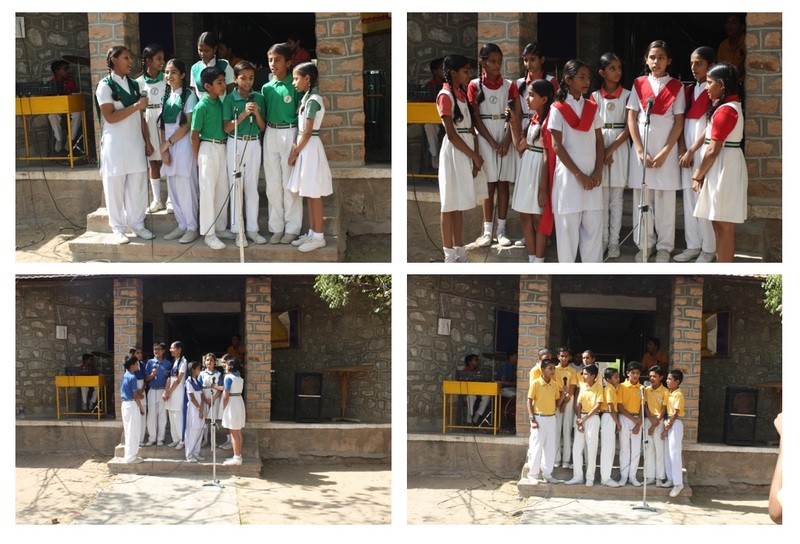 Each house prepared their team for the match. First Match was played by Dhyanchand House and Teresa House, in which Dhyanchand House won. Second Match was played by Raman and Gandhi House, in which Raman House was the winner. Final Match was played by Raman House and Dhyanchand House in which Raman House was the winner. The winner of Hardline Match was Gandhi House. IH Sack Race was organized for the students of Class I – V. All students of each house participated in the race. Wearing the sacks and running with it was fun to watch Students of their respective houses cheered for the students. 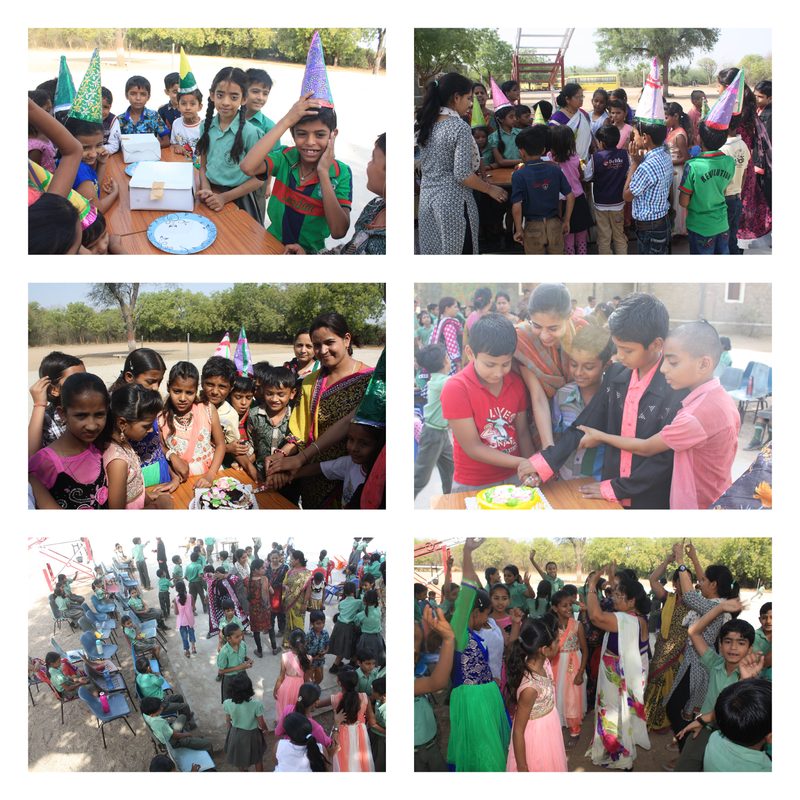 Friday, 6th May: Fruit Salad Activity was organized for students of Pre-Primary Section. Delicious, tasty fruit salad was made by the students with the help of their teachers. Instructions were written on the board to carry out the activity. 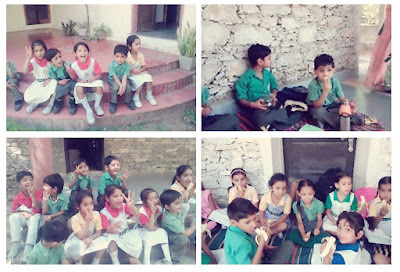 Students had fun eating delicious, healthy tasty fruit Salad. Good News! Our Solar Power Plant was inaugurated on 4th May. School will have 24X7 electricity. Congratulations to Yuvraj Ranawat / V who appeared for Navodhya Examination 2016 and topped Pali District.